Home » Blog » Is Your Legacy Telecoms System Costing You over the Odds? Is Your Legacy Telecoms System Costing You over the Odds? 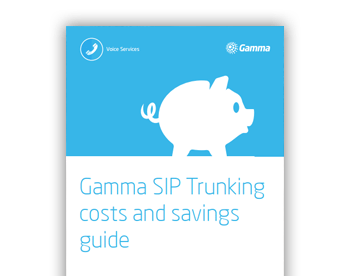 How to decide whether you should be making the move to SIP trunking. As you try and finalise your budget for 2015 there are many factors to consider. Firstly, how much will it cost to keep your existing systems running for another twelve months. Secondly, how best to invest funds to meet strategic goals, create new efficiencies and contain costs. Every aspect of your IT infrastructure needs to be examined, including your telecoms system. Is it better for your business to stick with its existing traditional ISDN system for another year, or make the move across to an alternative technology, SIP trunking? What is the basic cost of keeping your existing system running? This should give you an overview of how much your existing system is costing your business. You may find that these headline costs alone are enough to justify the move to a SIP-based alternative. Systems that hinder their employees rather than helping them to become more efficient in their roles often leads to lowered job satisfaction and potential loss of important human resources. Missed calls and general lack of availability will impair your employees’ productivity – directly affecting customer service levels and business profitability as a result. Then there is the issue of flexible working. In order to maintain a better work/life balance, employees are increasingly requesting flexible working provisions. If your telecoms system is unable to support such initiatives you may find your staff seeking alternative employment with businesses that can. Moving to an ISDN replacement technology like SIP trunking can enable more flexible working practices and provide vital access to the company directory. The fixed nature of ISDN means that its inflexibility can severely inhibit businesses looking to become more agile. It can also limit those businesses who need to adjust their communications provisions regularly to accommodate changing levels of demand. Anything procedural or technical that holds your business back in this way could be considered a false economy. What is the cost to your business?